This condo complex is on the north side of Madison, WI. 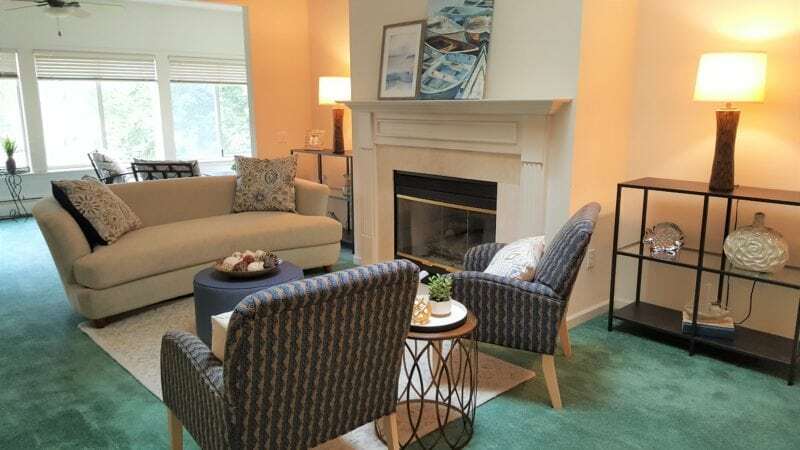 It boasts a community room, in-ground pools, indoor tennis courts, and a nice golf course. 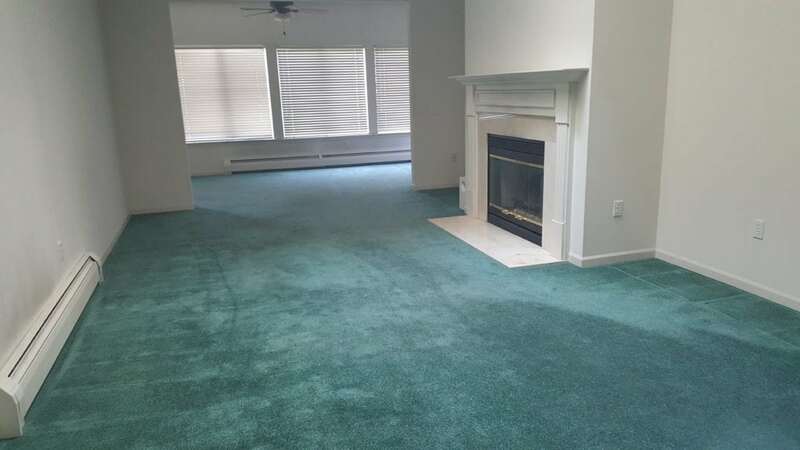 The owners of this condo apparently loved the way the green grass looked that they carried that look indoors in their wall-to-wall carpet. 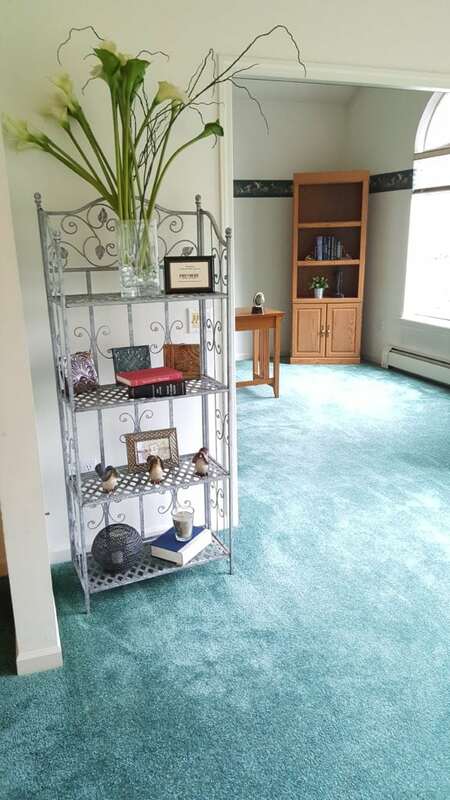 The carpet is in great shape, but is not everyone’s “cup of tea.” Premiere Stagers & Realty chose complementary colors such as navy blue with a touch of orange to tone down the green. The dining room can be both casual or formal. 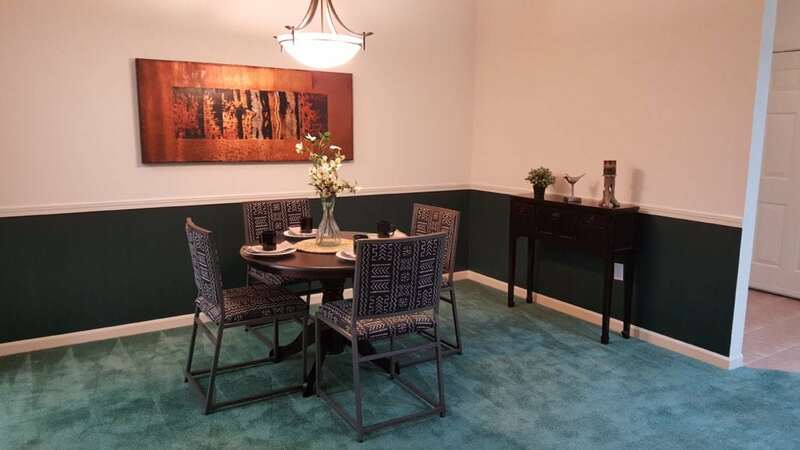 The orange/bronze canvas complements the green colors on the wall and the carpet. The sun room is off the living room, yet gives some quiet, reflective time to those who want to read. 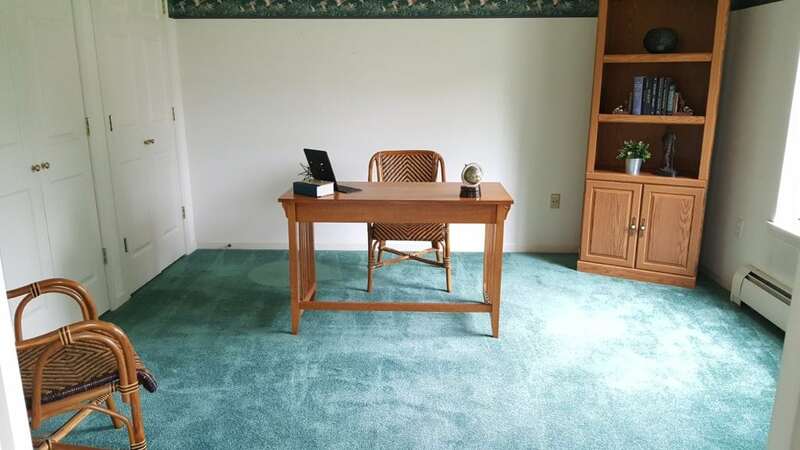 You could also put the TV in this area if you want to make it into a den. Adjacent to the sun room is the office, separated by French doors for privacy. 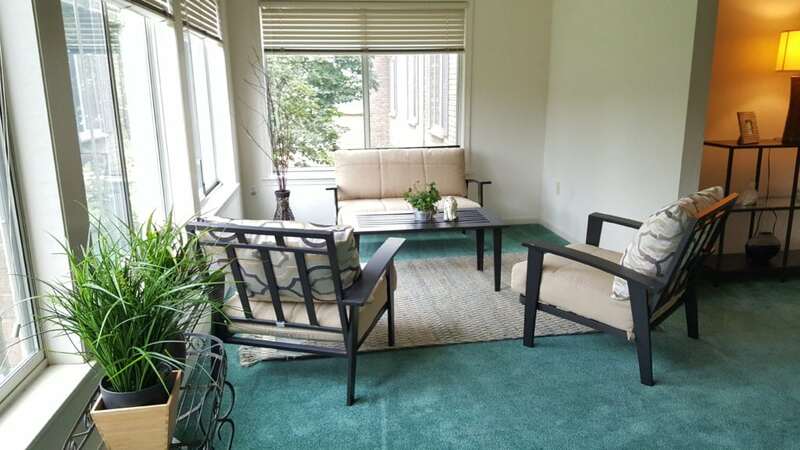 It’s a wonderful place to work from home or catch up on email or investments. 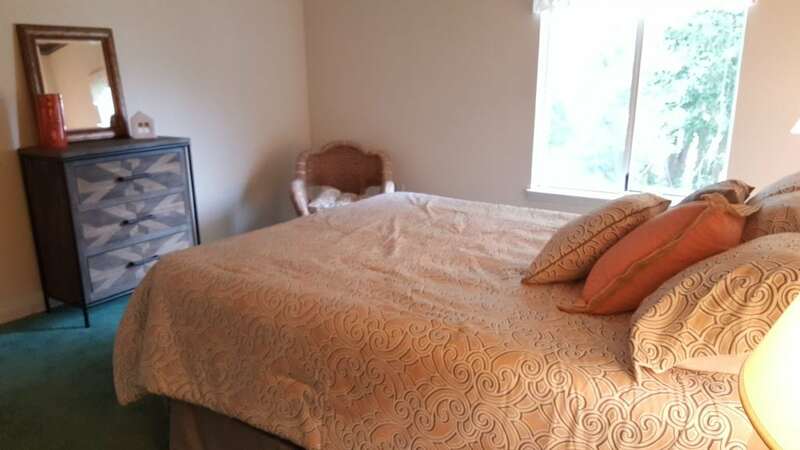 There is a master bedroom ensuite, whereas the second bedroom has a bathroom across the hall. The kitchen is flooded with natural light from a skylight. 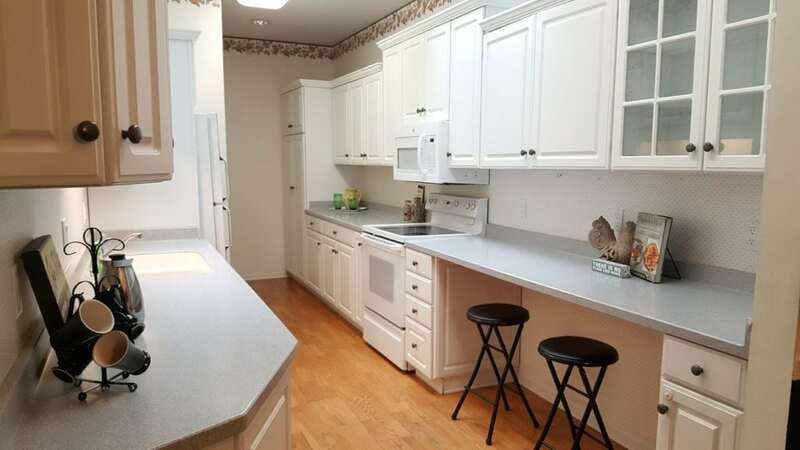 The laundry closet is just past the refrigerator. There is a place to sit while waiting for the oven or microwave, or perusing through cookbooks. 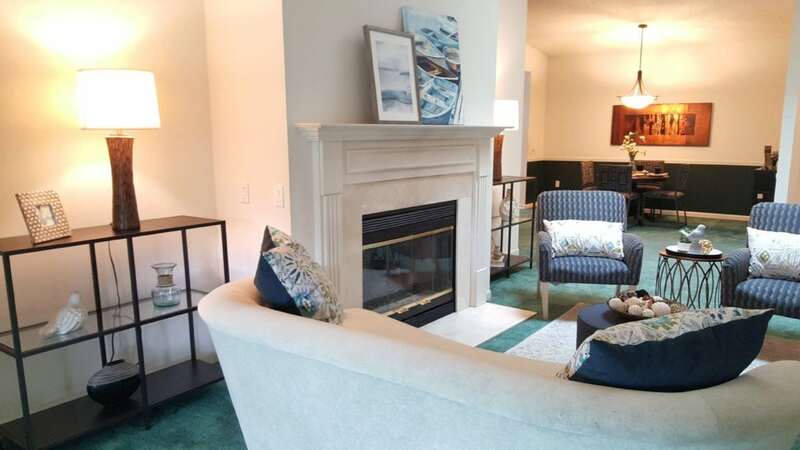 The amenities mentioned above, plus underground parking and an elevator are sure to entice anyone looking to down-size. Perhaps golfers will want to keep the green carpet so as to practice their putting inside. However, replacing carpet is an easy thing to change.